These is the newly released genuine British Army MTP camouflage UBACS shirt which is made from 100% cotton and coolmax mix material in genuine British multi-terrain pattern. They are very comfortable to wear and are made to army spec so are extremely durable. They feature; 6 pockets, half zip front with storm flap and Velcro areas on both sleeves to attach badges complete with velcro covers. They also boast High tension worn stitching for extra toughness and adjustable button cuffs. 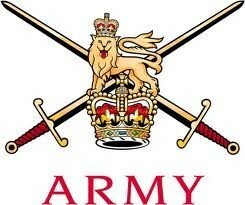 These are the current British Army issue UBACS shirt used by serving military today. They are also worn by cadets and many civilian personal as they are almost indestructible and will last the wearer for many years to come. All shirts come with genuine NATO stock and NSN number inside so you know you are getting the real deal. Registered pattern No RCD001627035-0001. The Coolmax material extends in the under arms area to slightly above the inside of the elbows - visible in the front and back views of the product images.